The Australian fashion industry may appear small compared to the rest of the world, however delve into the startup ecosystem and you will find many entrepreneurs and designers pushing the boundaries. Our unique use of technology in fashion is already making noise nationally and across the globe. 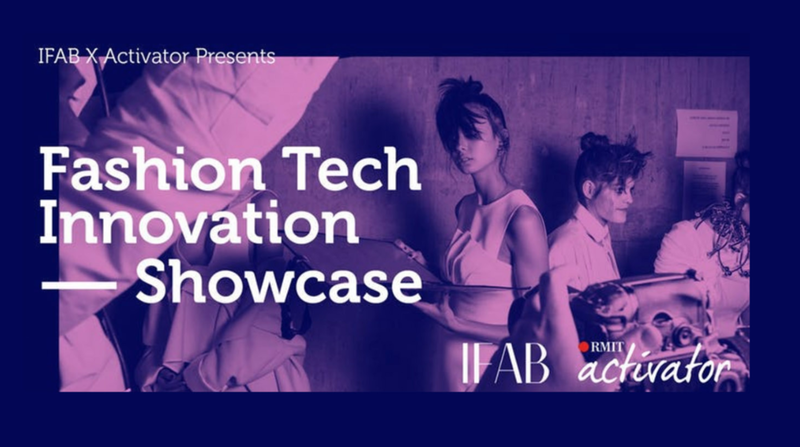 The industry is ripe for disruption and what better way to promote how progressive we are than to launch Australia’s first Fashion Tech Innovation Showcase during Melbourne Fashion Week. The launch co-created by global fashion community - IFAB and Melbourne University RMIT and its entrepreneurial hub - RMIT Activator. As the retail industry grapples with adopting a digital first approach, independent designers and boutiques are accessing business networks for assistance. Working with reputable industry resources ensures a smooth transition for fashion businesses to deliver more relevant experiences to their shoppers. The purpose behind the Fashion Tech Innovation Showcase is to promote fashion tech startups to the greater fashion industry. It’s about initiating the connection between brand and tech, encouraging a test and learn approach while assisting fashion businesses in getting comfortable with new technologies.